These sonic masterpieces align flat with your screen and deliver sound that’s anything but. Though slim and lightweight, the Klipsch Gallery Series still packs a deep, horn-loaded sound experience. After all, it is from Klipsch. The symmetrical design of the G-28 includes the proprietary Klipsch Tractrix® Horn creating a 90° by 90° dispersion pattern, greatly expanding the listening area and providing pinpoint imaging. 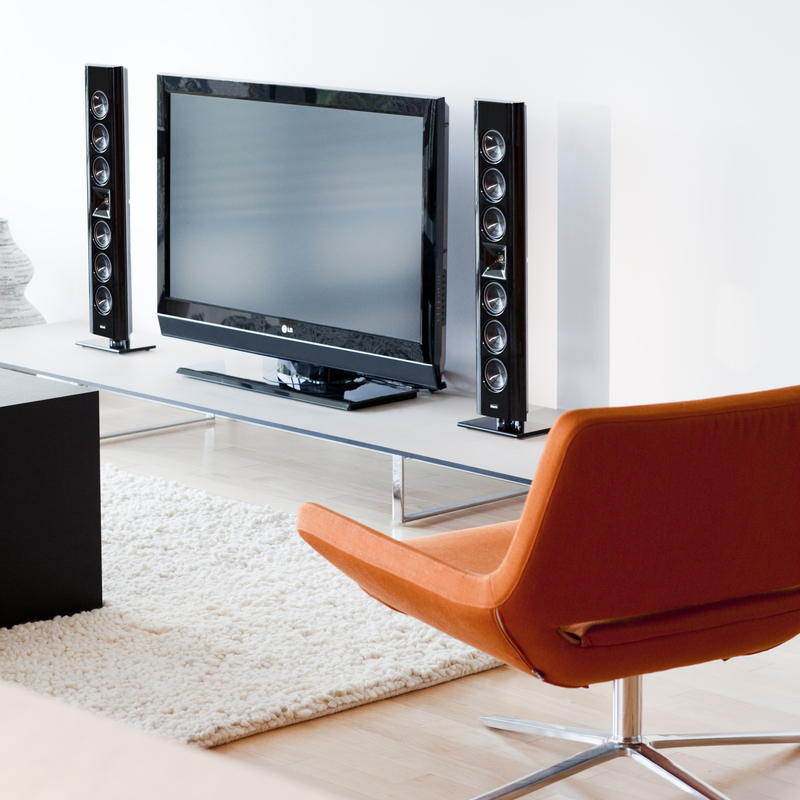 That same technology enables Klipsch Gallery to mount both vertically and horizontally and own any room. 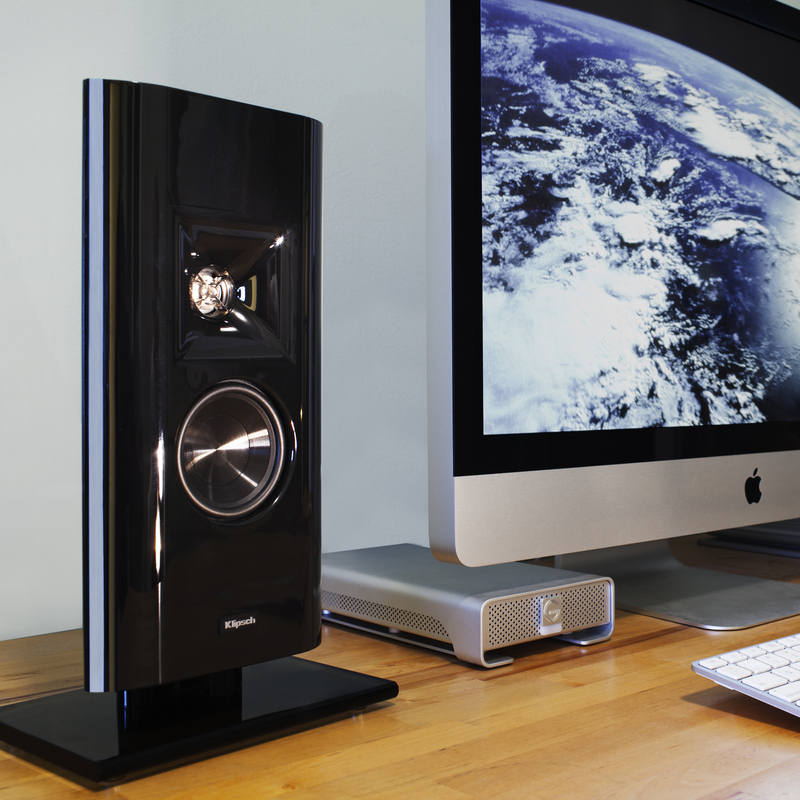 Each speaker can be wall mounted or placed on its included glass base. In keeping with its strikingly simple appearance, channeled wire management tastefully tucks any distractions out of sight. And the acoustically invisible grille—at half the thickness of a credit card—allows you to make all of your choices based solely on aesthetics. Grille on or off, the sound remains unaltered. The G-12, G-16 and G-28 elegantly interchange to take on the role of left, center, right or surround channel. And the high-gloss, piano black finish complements any and every design scheme, allowing the sound to flow seamlessly from room to room. 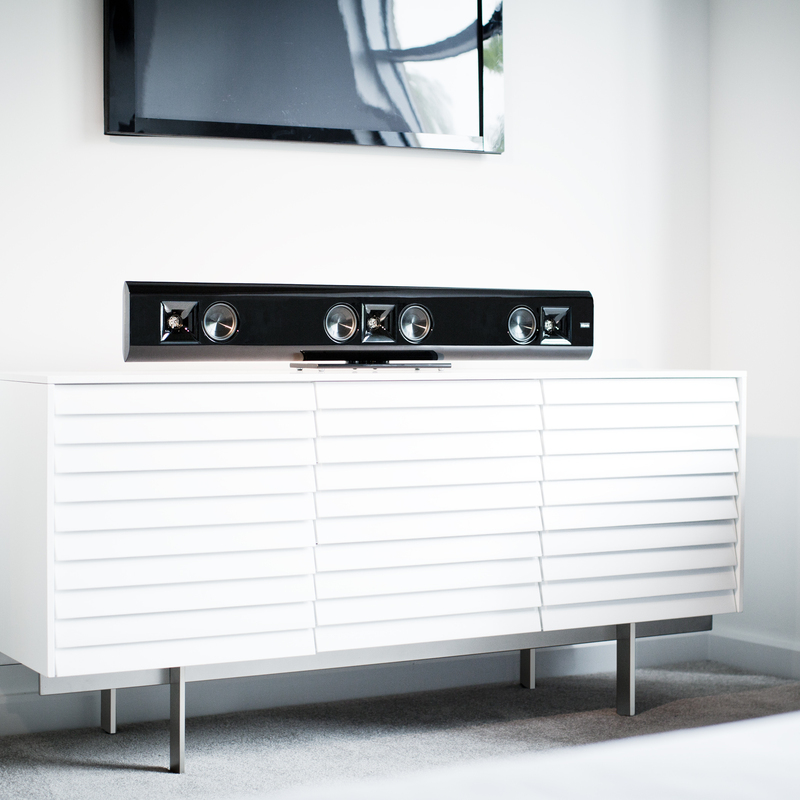 The G-42 — three artful speakers, one flawless cabinet. One single bar delivers left, center and right channel sound. Even the largest speaker in the series doesn’t have to dominate physically in order to leave a lasting impression.